Finally, a good summer rooftop bar. 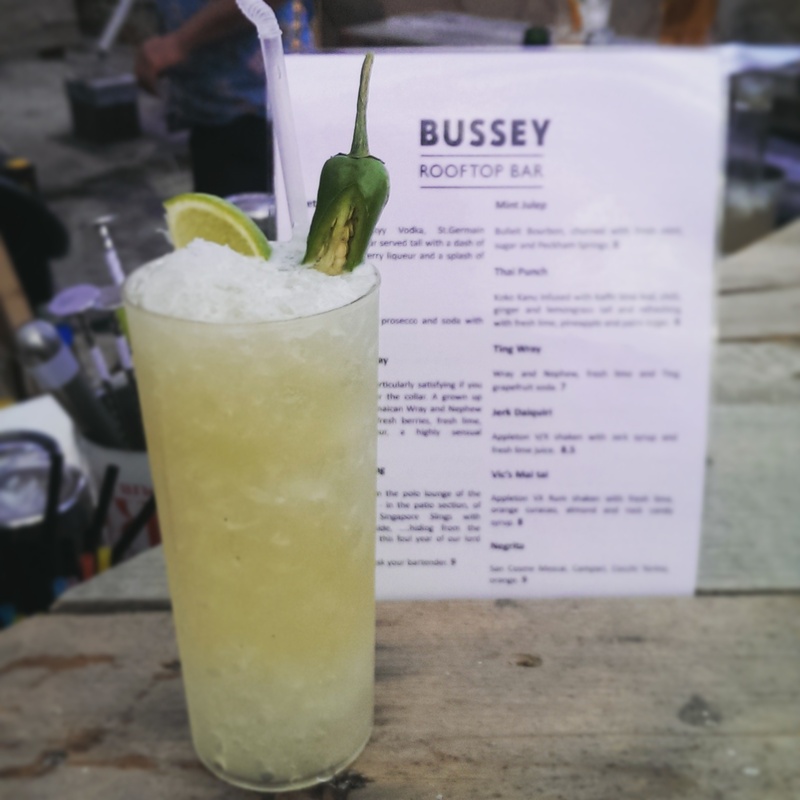 There have been quite a few summer bars around this June, but so far, the Bussey Rooftop Bar is rocketing to the Hoodooist’s top. Built to chill with live music, only 6 floors up, but with stunning views of the hills to the South and of the City to the North. Serving up film-themed drinks with Pizza Pilgrims baking up a storm, chilled out covers of Eurythmics sail through the air as the similarly relaxed cocktail list helps you relax far, far away from the noise of the city. And quality drinks for 7 quid? Winning. Walking up 6 flights of stairs is rather worth it. However, I’d add some, or at least store away emergency, umbrellas/shades somewhere. The British summer can be deceptive, and the last thing you need is a sudden shower while sipping on your Jerk Daiquiri (although, would be hilarious to watch the rooftop-yoga group next door get soaked). 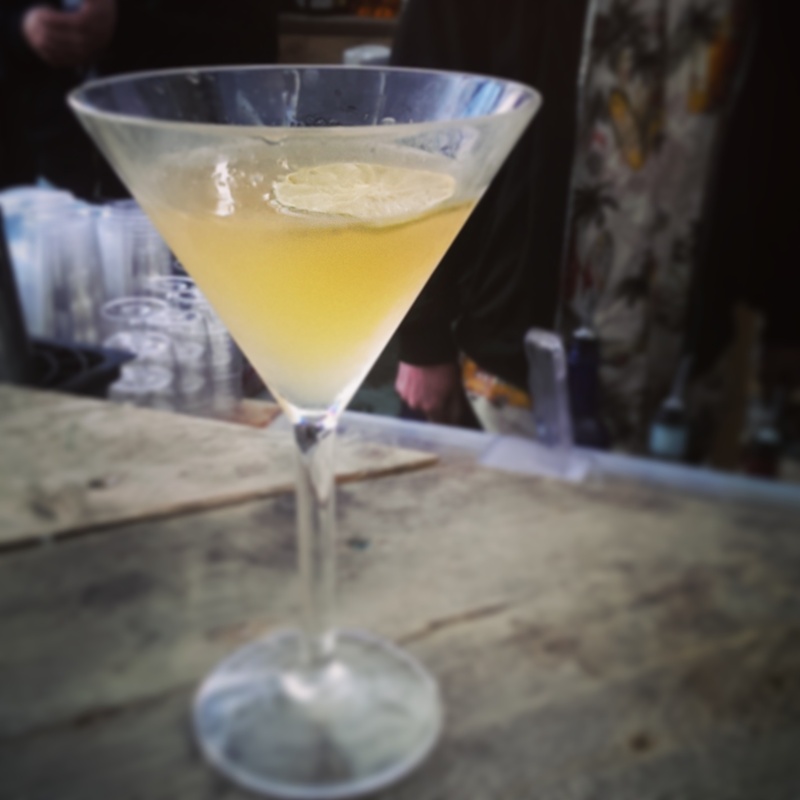 Speaking of the Jerk Daiquiri: Appleton V/X rum, Jerk Syrup, lime juice – simple, elegant, does the job. Appleton V/X is a much lighter rum than its popular Estate 12yr brother, and is a good choice for the cocktail. You’re first hit with the jerk syrup – the allspice, and bite of the Scotch Bonnet, the myriad of warm spices – followed by the fruit entry of the rum. Orange followed by the pepper, finally resting on the lime juice. Relaxed, summery, beachy. Simplicity works. The Negrita is an attempt at mixing some of the Hoodooist’s favourite cocktails: San Cosme Mezcal, Campari, Cocchi Torino (here substituted with Martini Rosso and extra orange). The substitution of Martini Rosso and orange works well, regardless. The most powerful flavour coming from the Campari, but once that fades, from the Campari and vermouth haze the mezcal emerges. Complex and smokey, with a caramelly finish. A great twist on a classic. Being summer, the Hoodooist decided to go with a long drink. Well, not really. He just read the word ‘chilli’ and was sold. The Thai Punch takes the coconut rum Koko Kanu and infuses it with kaffir lime leaf, chilli, ginger, and lemongrass tail – finally adding pineapple, lime and palm sugar to top off the drink. Cold and spicy, the Thai Punch leaves palate dancing between the spices, most notably the lemongrass tail and ginger, lengthened by the pineapple, ending with the sweetness of the coconut and a chilli strike at the back of the throat. Long it might be, but this drink takes a while to finish. Finally, the Memento is…. Anything you’d want it to be. Anything using 50 Pounds Gin, that is. Called Memento since the drink comes with a Polaroid snapshot of the night. 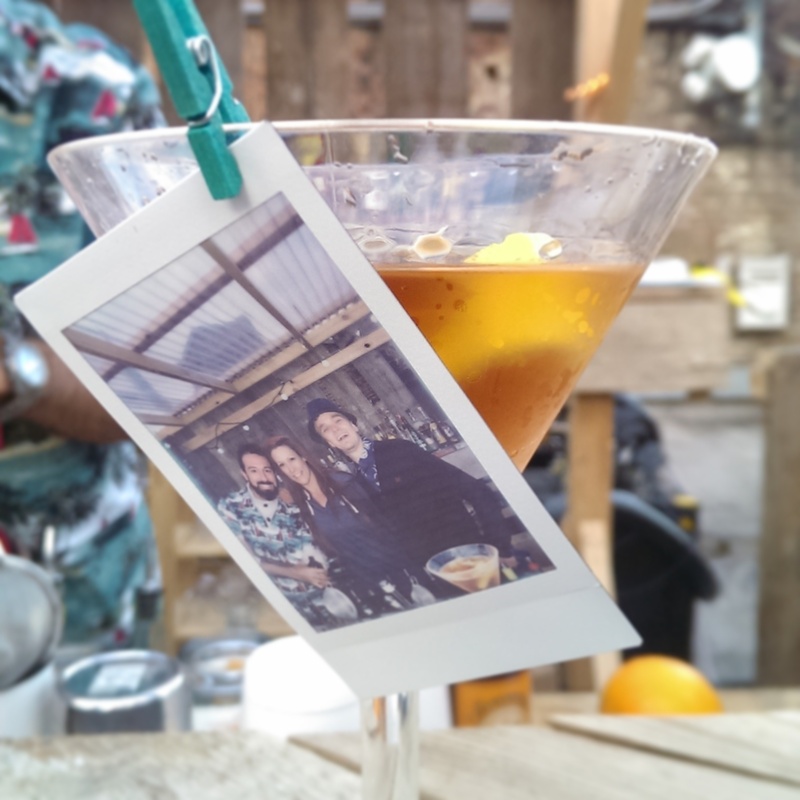 In this case, a Polaroid of our fabulous bartenders and a Martinez. So the usual gin, sweet vermouth, maraschino and bitters, a good ole classic. The team, run by the wonderful Joe of El Nivel (Click HERE for Review!) fame, are incredibly talented, bringing their skills from around the world, and a barrel of laughs. Smooth and swift cocktail preparation. And don’t forget the food! 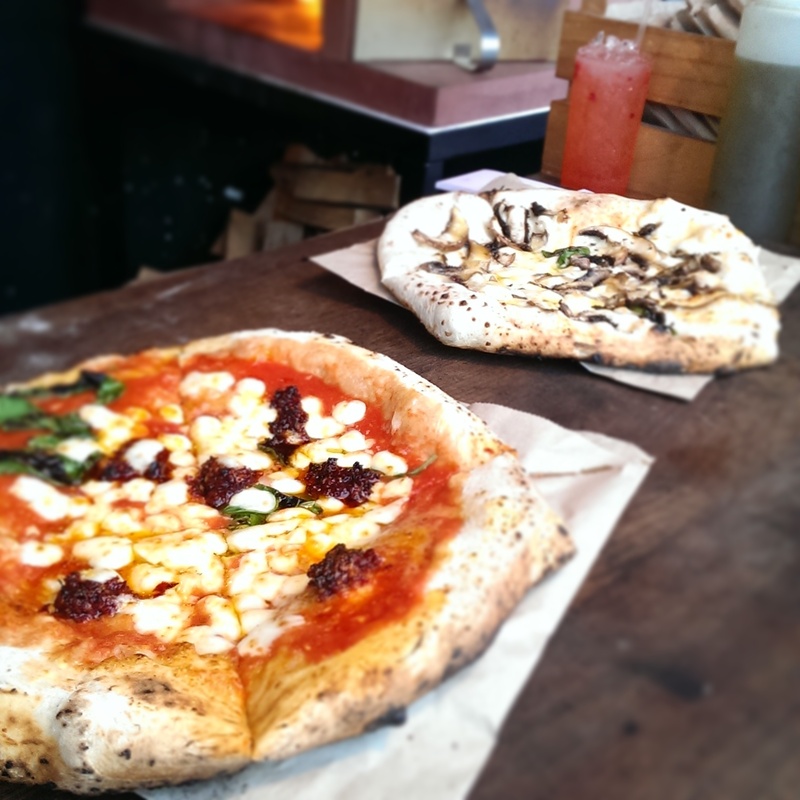 Enjoy the setting sun with Pizza Pilgrims cooking up personal Margherita, Nduja, or Portobello mushroom pizzas – or roll it up into a calzone. It’s a personal pizza, you can do it, we believe in you. 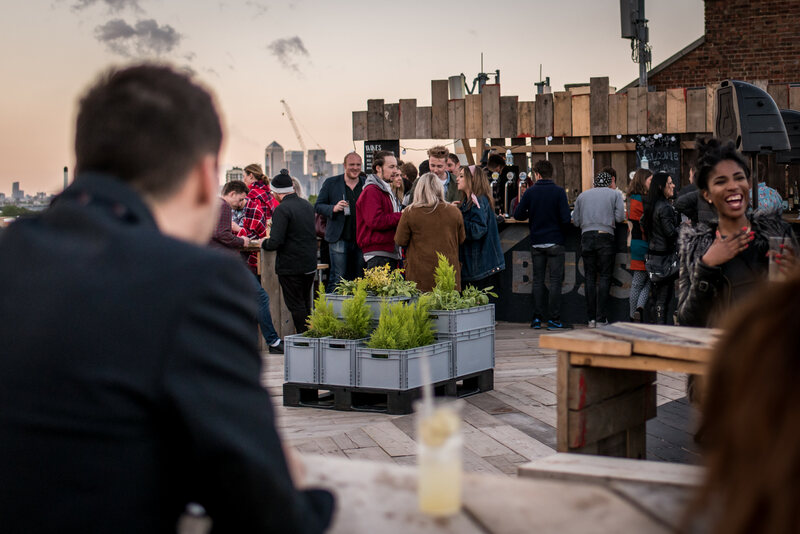 The pretention that tends to fester around rooftop bars (or the clientele they attract) is absent at the Bussey Rooftop, instead presenting us with a spacious, chilled out venue to lie back and relax in, with a Negrita in hand to enjoy what the much ignored side of South East London has to offer. This entry was posted in Bars & Cocktails, Festivals & Events, Gastronomy and tagged Date, Large Groups, Live Music, Rooftop, Small Groups, View. 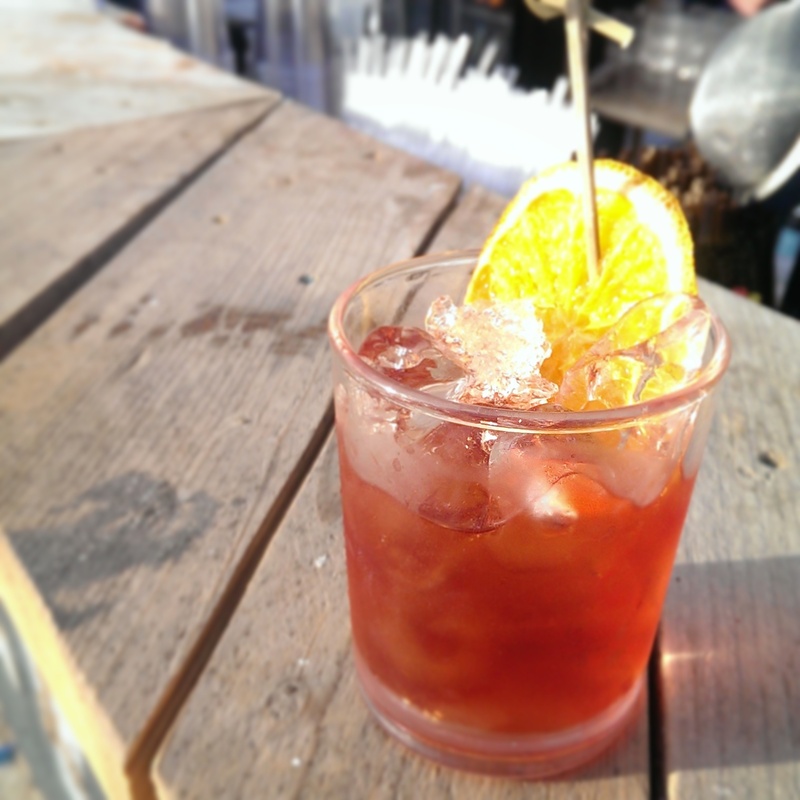 Highball Hoodoo is a blog devoted to the art of cocktails and bars around London; reviews, tutorials will be found here, including the occasional restaurant or festival. We want to open London up for you. See: 'Contact Us!' for details. Follow The Hoodooist via Email!